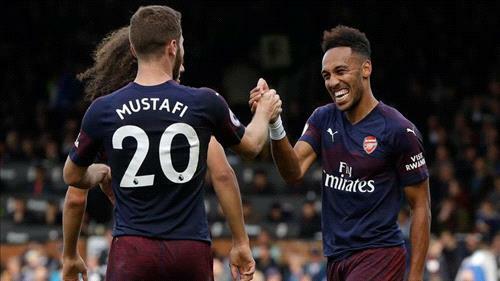 AMMONNEWS - Two goals from Frenchman Alexandre Lacazette, a wonderful back-heeled strike from Aaron Ramsey and two more from Pierre-Emerick Aubameyang gave Arsenal a 5-1 win over Fulham at Craven Cottage in the Premier League on Sunday. Fulham’s Andre Schurrle levelled the score just before the break, chipping calmly over Leno for his third league goal since joining the Cottagers in the summer on loan from Borussia Dortmund. But the visitors ran rampant in the second half, with three unanswered goals. “We worked very hard in the second half for this result,” Arsenal manager Unai Emery told reporters. “We need to be the same way in our matches: calm, finding our best performance and combination of players,” he said when asked about the win, Arsenal’s ninth in a row in all competitions.